Thanks to the iPhone, you don't need to be in front of the television or even in your house or at your desk to follow all of the action during NCAA March Madness. With these college basketball apps, you can catch live game coverage, update your tournament brackets, compete with friends, and chat with other NCAA fans when the tournament starts. Looking for a way to stream March Madness? Here's how you can watch it online. March Madness games all in one place. Listen to live radio coverage of games. View AirPlay and Google Cast on your TV. Only 3 hours of preview time without logging in with your cable provider credentials. 2018 March Madness season had issues with cable logins and app crashes. College basketball lovers rejoice — the NCAA is offering free live streaming for every tournament game with the March Madness Live app. You'll need to be connected via Wi-Fi or 3G/4G, but this is a terrific value for any March Madness fan. Games on CBS are available to all users, but games on cable networks like TNT and TBS require that you sign in to your cable company account. The app also integrates with Facebook and Twitter so you can comment on the games in real time. You'll also have access to live radio broadcasts of all games. Create March Madness brackets and compete with others. No good ways to get a "big picture" view of bracket states. 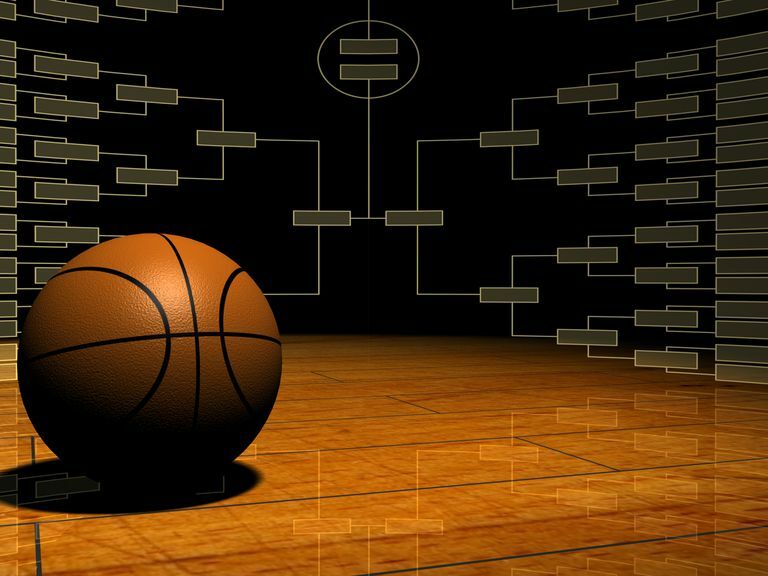 Create your own March Madness brackets with this app (ESPN, Free) and then compete head to head with your friends, coworkers, and even celebrities and sports figures. Besides the fun of trying for a perfect bracket, using this app can also give you a chance to win $10,000! Push notifications for your favorite teams. Bugs interfere with smooth use. CBS — the official television home of the NCAA Tournament — also offers a brackets app for you to play along with at home. More than just picking your brackets, the app delivers live scores, highlights and video analysis, top CBS shows, and personalized push notifications for updates on your favorite teams. You'll also be able to enjoy live streaming CBS Radio from within the app. Not just for sports tickets. Searches across multiple ticket sites. E-tickets not always accepted; check if physical tickets must be printed. Complaints about customer service, invalidated tickets, and undelivered tickets. If you're not content to catch the action from your couch, desk, or phone and just have to feel the madness live, try SeatGeek's app (SeatGeek Inc., Free). SeatGeek offers a single interface to search across multiple online ticket sellers, including major options like StubHub and eBay. And, since it's a general purpose app for finding tickets to any live events, it will be useful even after the tournament is over. Listen to satellite radio stations on mobile devices. Doesn't suffer from lost signals experienced on a car radio. Buggy when used through Apple CarPlay. If you can't get near a TV during the games but are close to a satellite radio or computer, you can tune in to the games via SiriusXM satellite radio. SiriusXM requires a monthly subscription, so if you're not already a user, you may prefer to check out the CBS app for its radio coverage. If you do have SiriusXM, though, you'll be in hoops heaven all tournament long. Current scores may be slow to show up. No live stream of games. While the men's tournament draws the biggest audience and the biggest headlines, but it's not the only game in town. The women's tournament is just as exciting and features equally dominant performances. Keep up to date with the progress of the Women's NCAA Tournament with this app. It features live scores, news and videos, and the ability to buy tickets to games and team merchandise. Free games, and cheap entry games for beginners. Offers a wide variety of games beyond the usual. Doesn't accept customers in certain states. Fantasy sports games may be considered illegal gambling in parts of the U.S.
DraftKings is one of the major names in one-day or one-week fantasy sports leagues. Instead of drafting a team that you use for an entire season, with DraftKings, you pick a team a game or two and then pick a new team for the next matchup. While football and other major pro sports dominate DraftKings, the site is full of games in which you can select players in the NCAA Tournament for your teams. Variety of games beyond the familiar pro sports. Doesn't accept customers in some states. Fantasy sports legality is ambiguous in some parts of the U.S.
Like DraftKings, FanDuel offers one-day and short-term fantasy leagues in which you can select college basketball players in March Madness. If you love fantasy sports and haven't tried FanDuel or DraftKings yet, you should check them out. Having players to root for makes the games even more exciting!